Congratulations! 9.8 pounds is significant. Wooohoooo for you losing weight. I am trying to be healthier this year also. I have done Zumba classes two times this week and am signed up for another tomorrow. I am focusing on exercise this week and then the food comes next........I can only take on one thing at a time. I am not sure Zumba is for me. I keep hearing about it but I am so not coordinated. Although, I am making a concentrated effort to watch what I eat, I am not making HUGE changes there, yet. I probably will step it up a little bit more once the weight loss slows down a bit. Good for you on getting moving! You can do it! Love it! Congrats! Nearly 10 pounds in 13 days is quite the accomplishment. 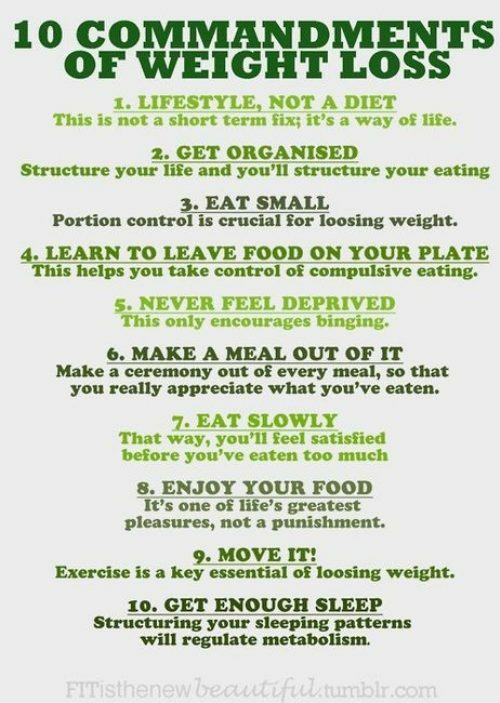 Those 10 Commandments are fantastic also, and so true. I am starting TurboFire this Monday and I can't wait to finally get back at it! Great job!